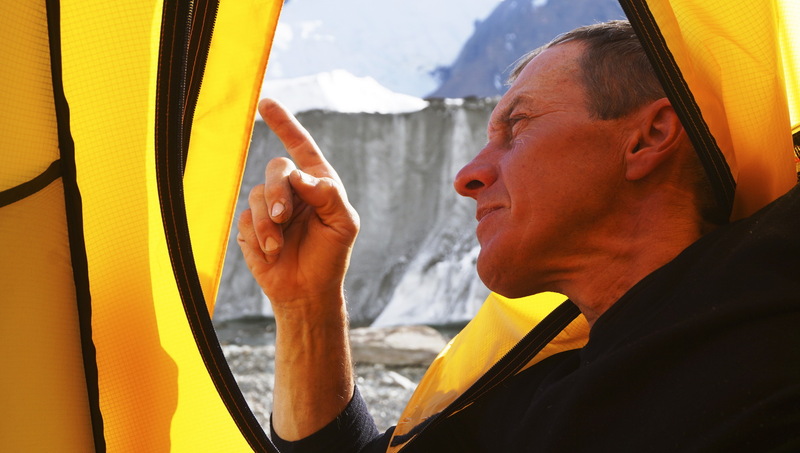 There is no doubt that Russian Denis Urubko is one of the best climbers of our day. 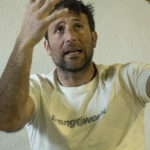 He has 21 ascents of 8,000m peaks, including two in winter, and has opened new routes on Manaslu, Cho Oyu, Lhotse and Broad Peak. 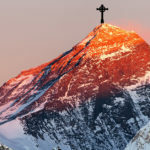 He did all these high-altitude climbs without supplemental oxygen. He is also known for his outspoken and confident personality. Urubko gave further evidence of this last winter. The Polish masters of Himalayan winter climbing, nicknamed the Ice Warriors, organized a winter expedition to K2. The expedition was led by the legendary Krzysztof Wielicki, one of the giants of the Ice Warriors clan. He was the first to climb Everest, Kanchenjunga and Lhotse in winter. He invited Russian-born Denis Urubko, an honorary Polish citizen. Urubko did not feel like a real teammate at the beginning. His suggestions were ignored, but still, Urubko worked as a genuine member of the project – fixing ropes and establishing camps. C1, C2, C3 and the highest points on both attempts were all reached in a large extent thanks to his efforts. Denis was also characteristically blunt on his blog, which did not endear him to his colleagues. Among some mountaineering purists, including Urubko, winter (as the coldest period of the year) ends on February 28. For a first winter climb, this fine distinction might be negligible. 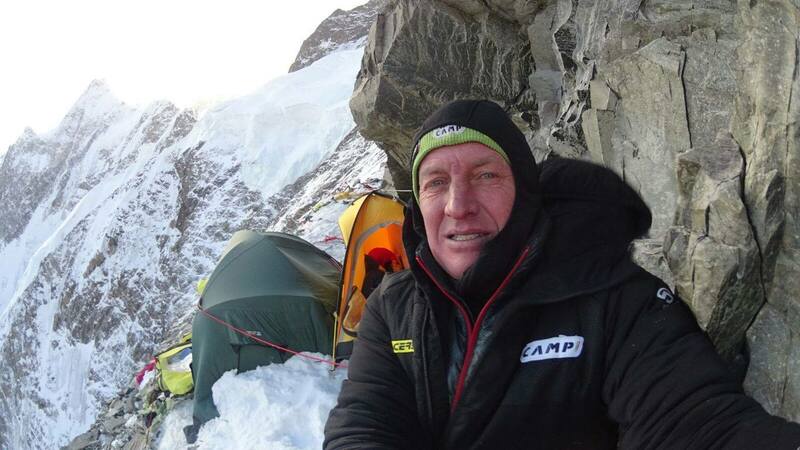 Nevertheless, it prompted Urubko to secretly attempt K2 on his own in February. 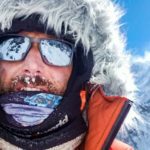 He reached 7,600 meters but had to turn back due to falling into a crevasse in whiteout storm conditions. 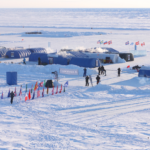 After Urubko returned to Base Camp and some talks with the expedition leader, Denis left the expedition a day later. In the end, the Polish expedition failed. One should not forget though, that in January and February the whole team spent most of their time pursuing the Basque (“Cesen”) Route, a direct but steep technical line with few good campsites. 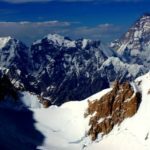 Two climbers suffered serious injuries. By the time they crossed to the normal route on the Abruzzi Ridge, they were out of time. In the meantime they also performed a great rescue on Nanga Parbat. Do you think the Cesen Route was the right choice for K2’s first winter climb? Urubko: No. On this line, there is a huge difference between summer and winter conditions. The Basque (Cesen) Route is so steep that it cannot hold snow in winter. Rocks fall constantly from the bare ridge. There are not really any good places to camp, and it is completely exposed to the raging west winds. It is difficult to even survive on this route in winter. So I think it’s not a good choice for that season. Were you involved in choosing the route? For many years I have been consulting with my friends, who attempted the Basque route in winter. But, by the time I tried to speak with all the Polish members, the decision had been made. Unfortunately, we had to follow the choices of our expedition leader. Do you think there were more chances on the east wall, even though it hasn’t even been climbed in summer? Yes, it’s the opposite of the Basque Route. In summer the east wall has too great an avalanche risk. But snow conditions are ideal in winter, and it’s easier to climb on snow than on ice. There are good possibilities for snow caves as well as glacier crevasses which offer excellent protection for the tents. Good camps are available. The wall is well-protected from the constant west winds. With a strong hard-working team this is a good line to the summit. With such good camps it sounds like you can use classic expedition style, rather than alpine style. Absolutely. Abruzzi is better attempted alpine style. There are established camps, and you can follow fixed ropes left over from summer. Of course, good acclimatization and mental commitment are necessary. The east side is more of a traditional expedition-style route. Who were the strongest in the team? Adam Bielecki, Rafal Fronia and Marcin Kaczkan. And there was another young guy, Maciej, who was well motivated. How did you get Polish citizenship? 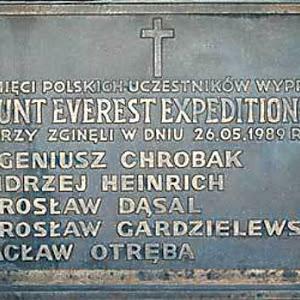 It happened five years ago and was aided by the Polish Alpine Club. There were several reasons for this. I lived on the island of Sakhalin, which has several Polish historical bonds. I had some good relationships with Polish mountaineers like Boguslaw Magrel. In 2001 I rescued a Polish lady on Lhotse. In 2003 I was included in the Polish winter expedition for K2, and formed positive relationships with Piotr Morawski, Marcin Kaczkan, Krzysztof Wielicki, Bogdan Jankowski, journalist Monika Rogozinska and many others. Since then I have been in constant contact with the Polish alpine community. I’ve helped them, and they’ve inspired me. It was very important to me that we could work together also now. No matter how members are individually, everyone on a national team works toward the same goal. Why do you think the relationship between you and other members of the expedition has deteriorated? With some of them I had a very good relationship, with others I struggled to find common ground because they did not understand the essence of winter mountaineering. One Russian blog stated that you were complaining that they did not want to speak Russian with you. No, such a thing never happened. We spoke a few sentences in Russian, but mostly we spoke Polish or English, and many times Krysztof Wielicki talked to me in Italian. But some team members did not talk to me at all, perhaps because of anger. Some members said that they did not understand me, even though I spoke in Polish, English, Italian and Russian correctly. They simply did not want to hear what I said. Why? Who knows? It was difficult for them to understand my opinion. It is not really a misunderstanding, but rather a bad personal relationship. Leaders did not want to cooperate. I never want to scale up problems, I try to get rid of them. I try to be polite. Do you not feel unethical that you tried to climb solo without the team’s consent? Or would you have rated any success as a team victory? If I had managed to solo, that would have been the whole team’s success. But by then, I did not feel the same responsibility to the team. I think that not only do I have to respect the expedition, but the expedition must also respect me. In the beginning, I was immensely elated and proud to be fighting with the Ice Warriors toward a common goal. My solo action reflected my earlier positive attitude to help make the Polish national dream come true. Did you feel that the Polish expedition believed that “we have invited you to the expedition, we have given you citizenship, so just shut your mouth and climb”? Like a slave? Really, they should be asked about this. But yes, sometimes I felt that the leaders thought it was enough for me to be here and to do what they said… Obviously this meant sitting in BC and waiting for a good weather forecast. Nevertheless, many openly criticize you and say that your solo attempt was not ethical. It is a more complex situation than that. Theirs are just opinions. Other opinions exist. I also do not like it when they declare that commercial expeditions have no place in the Himalaya. Nonsense. The Himalaya are free, as climbing is a free activity. I like to work in my more sporty style, while others go on a commercial expedition. No matter which you choose, the point is to have fun in it. Did you tell anyone what you’d planned before you did it? I wrote just two people what I was doing: my girlfriend Maria and a Russian friend, Anton. Of course, the news was worrisome for them, and for me, it was not easy to shut down the laptop and get started. Did you mind what people thought of you? No, I only cared about what Maria, Anton, and my mother and my sister thought. My decision was the result of a long process. The expedition had restricted me. I did what I felt was the best in that situation. I did not speak to anyone, but after breakfast I secretly packed. I had everything needed to climb in light style. I went up to Camp 1 and then on to Camp 3. There I dug a cave at 7,200 meters, just large enough to crawl into. Early in the morning I got up and went up on the Abruzzi Route. I had no doubts. Physically I felt very strong. Unfortunately, as predicted back in Base Camp, the weather was getting worse. And I was facing an obstacle in the form of a huge crevasse. Conditions were too risky. There were a lot of crevasses, and I fell into one of them at 7,600m, just 150 m below Camp 4. A snow bridge collapsed beneath me and I fell a few feet. I was able to climb out, but I could not cross the crevasse. In summer, fixed ropes here make progress easier, but there is nothing in winter. The situation was very risky, but of course, this is part of the game. It actually makes me feel free. But it was impossible to go further. I could see almost nothing in the fog, and the wind kept increasing. I had no choice but to go down. But I think if I could have seen just enough to get through the crevasse field, I would have had a chance to reach the summit. But the many small inhibitory factors were insurmountable. And now I’m genuinely glad to be having coffee here in the heart of Budapest. 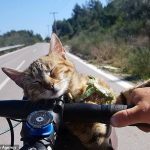 The downhill trip was not easy, either. I could hardly see anything, and many times I’d lost the trail. Finally I reached Camp 3, then went down to Base Camp without stopping. If something had happened to you and you needed rescue, would you have understood if the leader of the expedition was angry with you? I understand that my associates and the expedition leader were angry when I left alone. But they did not have any responsibility for me. Marcin and Maciej were on route in C2, in the normal process of their personal acclimatization, but no-one else. Nobody was on the mountain above Camp 1 after my departure. But if you were in trouble, they would have gone after you. How would they know I was in trouble? I did not have a radio. They did not even know where I was. I could have just gone to Broad Peak. I did not expect support from anyone. I alone was responsible for my safety. I’m sure they would have gone looking, if you had disappeared. All right, but let’s turn it around. Let’s say Adam Bielecki went solo instead and got in trouble. Wouldn’t you have gone after him? Sure. But not because I’m a member of the expedition, but because Adam Bielecki is my friend and I would have wanted to help him. But not everyone on the team was your friend. Do you think there are some whom you would not have gone for? No, no, whoever is in trouble, I would have done my best to help, just as I did for Elisabeth Revol on Nanga Parbat. 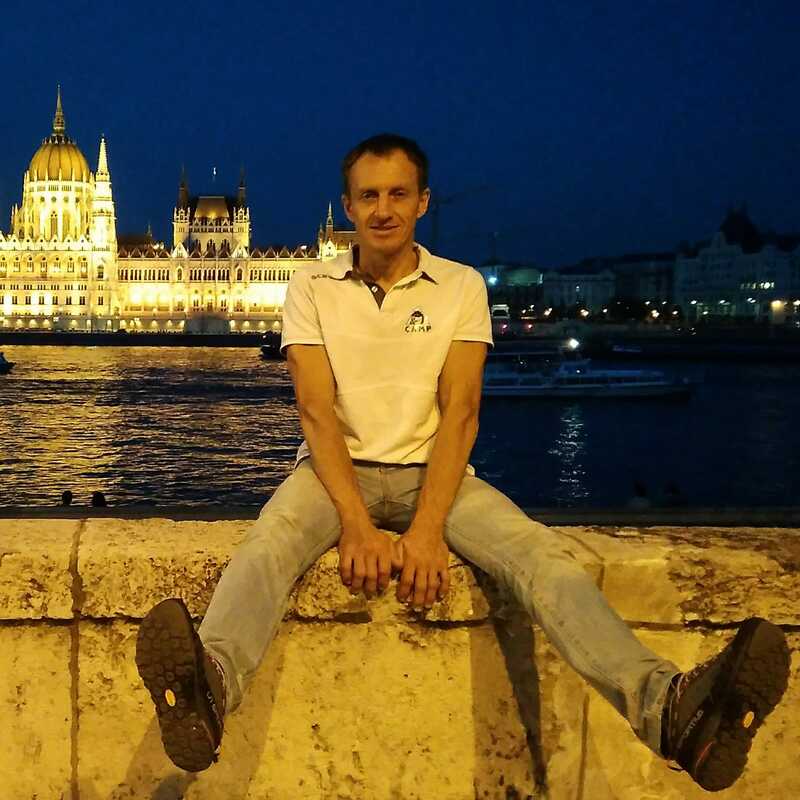 What is your relationship with Krzysztof Wielicki and other members of the team now? Can you imagine ever working together again? Of course. I never close the doors on collaboration with friends. Some of them have already proved themselves on the slopes of K2 in winter. I have a good relationship with Adam Bielecki and Marcin Kaczkan. Have you spoken since with your team mates? With Adam and Marcin several times. 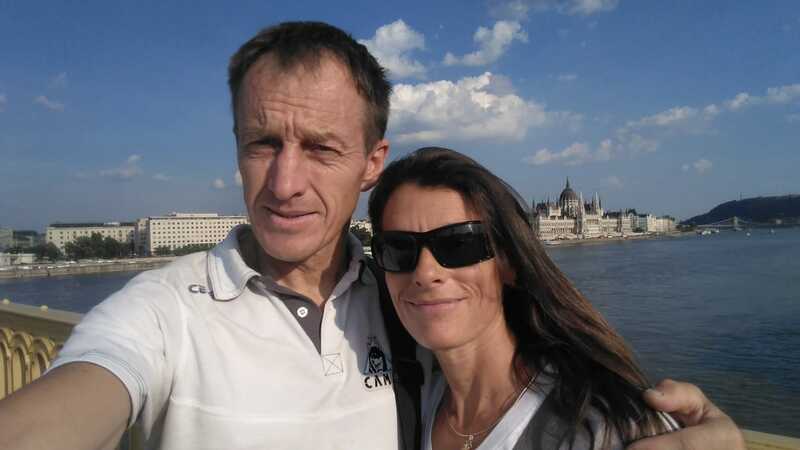 I have written to Wielicki notifying him whenever I have any obligations, talks or sponsorship events that may involve mention of our expedition. He always cleared me off these duties, but as an expedition member I felt obliged to ask. Of course, staying friends is more complicated. Our relationship should probably be placed on new foundations, for which I am fully open. I also respect Wielicki for his mountaineering achievements and strong personality. We have had many interesting and difficult projects together. In some ways, I still have a good relationship because I understand him. Being a leader of a major national expedition is a serious responsibility. Does he understand you too? You’d have to ask him. Both of us have different opinions about what happened. But let’s remember one thing: He too once left a winter expedition without his leader’s permission and climbed Lhotse solo. So we have this parallel in our careers. I would also be very happy to join the next K2 Polish winter expedition, but I think the team has to be assembled differently. Do you know that they are already organizing one for 2019-2020? They announced in a press conference that they were already preparing. Being prepared does not mean that they are going. I have no invitation, they have no money. We can talk about the expedition when it is already in Pakistan, everything is paid and the team is walking to Base Camp. Until the last minute, you can have everything in your head. Two years ago, Wielicki wrote enthusiastically to me that everything was ready. I called off all my technical climbing projects in order to prepare myself physically. Then at the last minute, the expedition did not happen. This is a common thing with high-altitude expeditions. Due to money, media or even the team, there is great uncertainty. We have to be prepared to go tomorrow, but it may never occur. 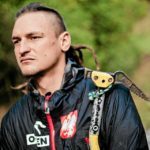 Do you think that the new generation of Polish climbers is weaker than the Ice Warriors? Personally, I’d say yes. 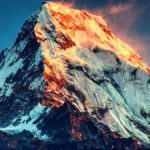 Most of them are not result-oriented, nor do they regard summiting a peak as their primary consideration. They find many “excuses” out of the real situation. I emphasize that this does not apply to everyone. For example, Adam Bielecki, Rafal Fronia and Marcin Kaczkan are absolutely purposeful. But the majority is looking for excuses not to succeed in the correct way. I was also forced to consider March as winter climbing. True, it can be enough cold, windy and so on, but March is spring. In June-July, the temperature can also hit -40, but nobody says that this is a winter climb. I feel that the present generation, perhaps because of current social conditions or because of conservative trends in their climbing school, thinks differently. I do not necessarily mean badly. Just differently. Andrzej Zawada organised expeditions in the true winter, December to February. Overall, people are usually not strong enough for outstanding high-altitude ascents. They have many self-made “excuses”. Of course, we’ll wait to see what happens this summer, because some of my Polish friends are preparing for serious things in Karakorum. I cannot say anything more for the time being because they have asked for discretion. But I hope we will see some great Polish successes this summer in Pakistan. What do you think can lead to success in winter on K2? Proper preparation is very important, including several training camps, with varied physical training. In the gym, in the mountains, strenuous climbs emphasizing not technical difficulty, but quantity. Practice climbs in winter, too. This is certainly not a recipe that works in all circumstances. It’s not like choosing a single pill for all your pals. There are complex motivations, relationships, styles and preparation methods. But preparation is indispensable. Which route best promises success? The eastern wall looks very promising. It is not so exposed to weather. You can build camps even in bad conditions. From Camp 4, we can wait on a weather window for the summit push. For a small team the Abruzzi Ridge is convenient, since you can use fixed ropes from the summer and you do not even have to look for the way. Would you like to organize a new winter K2 expedition yourself? Yes, I think about it, but I’ve postponed it a little, to sometime in the next four years. Some friends and I have started to think about potential sponsors and are preparing step-by-step. We’ll climb Peak Lenin in winter because it is not technically difficult. 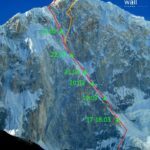 A “true” winter climb of the Broad Peak is also a possibility. The first winter climb took place on March 5, 2012, but again, that’s not winter in my view. 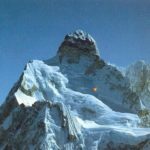 Does it matter if you are the first to climb K2 in winter? What if the Poles do it next year? For me the important challenge is to get up. However, being first is important for a sponsor. But even third or fourth would not be bad on such an interesting project. Who would you prefer to go to K2 with? Best friends are always the best partners, as long as they are well-prepared. Marcin Kaczkan and Adam Bielecki are very strong climbers. But there are also potential candidates among my students from Kazakhstan, Russia, Spain and Italy. Do you think it necessary to be friends, or is it possible that three or four very strong but different individuals can cooperate toward a single goal? It is possible, but very risky. If your peers do not know each other well, then in a crisis, they may not cooperate. 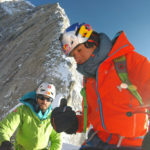 The best thing, however, is to be friends, as I was with Simone Moro on Gasherbrum II and Makalu and on a lot of other projects. I work toward this in my schools. We try to enjoy the mountains together as well as to work side by side. 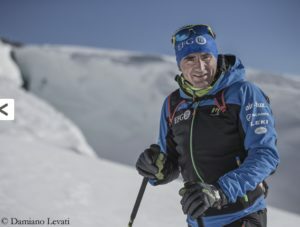 Once Ueli Steck and I were in contact for a serious project, a winter ascent. Although we were not friends, we knew each other well enough. It was possible that we could have done something together. What would you have climbed? We just talked about it, and I do not want to mention specifics. 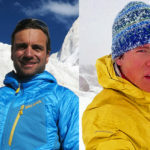 But a good example for cooperation was when I planned to go to K2 in winter with Alex Txikon and Adam Bielecki in 2014. Unfortunately, the Chinese withdrew our permit at the last moment. But we were a trio of friends, professionals, willing to cooperate for the common goal. What are your plans for the near future? I know you have your eyes on Cerro Torre. Urubko: Marishka, tell us what we want to climb, please. Maria: Our primary objective is the Ragni Route on Cerro Torre, because there is more ice. But you know Denis, he’s always thinking of something new. Warming up with a classic route, but always wanting more. After Ragni, if I am comfortable, we may try to climb something new. On Cerro Torre! Can you imagine? I would be happy just to succeed on Ragni! We will be going for two months because the weather in Patagonia is notoriously unpredictable. We’ll leave on November 28 and stay until the 26th January. This is my first trip there. Urubko: Tell me a bit about equipment too, please! Maria: Denis’s style does not really suit a large amount of equipment. Here, however, we will need a portaledge for our bivouac. Denis works with Camp-Cassin and is developing a new model. For now, it hangs at home in Bergamo, but soon we’ll test it at Val di Mello. But as far as we can, we’ll try to climb Cerro Torre as minimally as possible. Maria: Yes, we are going to the Caucasus in July, to climb the 4,710m Ushba South. It’s not too high but it’s very technical. We’re going for a month, and we’ll consider doing the normal route, but then Denis wants to try a new line. But I’m not as good at climbing as he is. 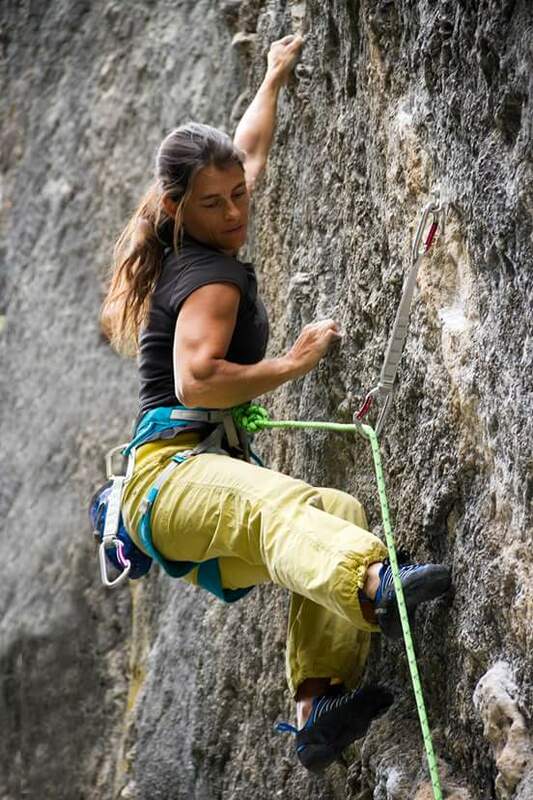 Maria Cardell is 44 years old and has climbed for over 20 years. It is a family tradition. Her aunt and her grandfather were noted alpinists. Her mother was an extraordinary skier, who won many races, even in national championships. As a photojournalist, she traveled to Italy to interview Urubko, they went climbing together and found out that they were a good team. 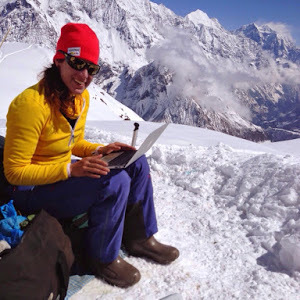 Maria has climbed Peak Lenin, Spantik and Cho Oyu.The pair was nominated for the Piolet d’Or this year for their new route on Chapayev Peak near Khan Tengri in August 2017. This interview originally appeared in Hungarian in the online publication Mozgasvilag. Translation by ExplorersWeb with input from Laszlo Pinter and Denis Urubko. 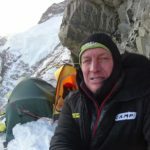 5 Comments on "Denis Urubko: I’m going back to K2"
Fascinating interview……..Denis should get Adam and Alex to try K2 again with him from the Chinese side -East wall. They would have an excellent chance. Thanks for posting! Good luck Denis with your future project in Pakistan.